Dr. Ted Dreisinger (tdreisinger@therapyadvisors [dot] com) graduated from Fairmont State University with a degree in physical education and language arts. He earned a Master’s Degree at the University of Wisconsin-LaCrosse and a PhD at the University of Missouri. 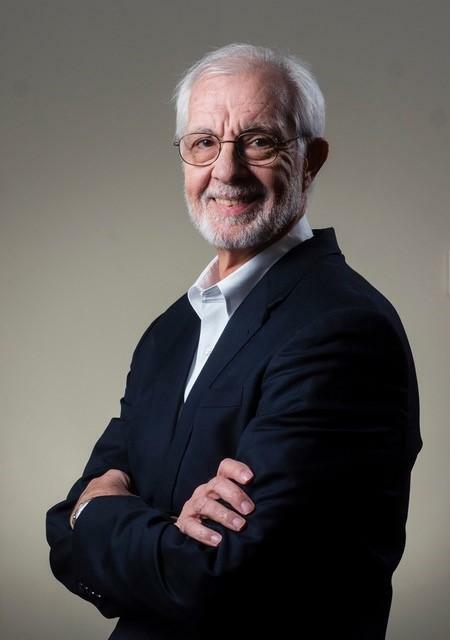 Over the years, he has provided successful venture funded injury prevention programs in Upper Extremity and Spine for Fortune 500 companies including Tyson Foods, United/Northwest Airlines and 3M. He has held executive positions in these ventures. He has owned two conservative care rehabilitation practices where he implemented innovative fully automated clinical medical records systems. He has served on a number of spine related foundations as an active member of strategic planning initiatives. Dr Dreisinger’s background spans nearly 40 years of clinical experience in rehabilitation, orthopedics and physical medicine. He has published articles in biomedical journals including Spine, Orthopedics, Journal of Rheumatology, Sports Medicine, Paraplegia, and the Journal of Cardiac Rehabilitation. Dreisinger is a member of the North American Spine Society, fellow in the American Back Society and the American College of Sports Medicine. He is a member of the Board of Trustees for the McKenzie Institute International, the Boards of the Vert Mooney Foundation and the North American Spine Foundation – a non-profit arm of the North American Spine Society. Dr. Dreisinger is President of Therapy Advisors, a consulting firm that provides solutions for the management of chronic back pain and web-based clinical outcomes for medical practices. On the personal side, he has published three books of life observations accumulated over the many years of professional traveling. He lives with his wife Molly in Oro Valley, Arizona. Check out my Part 1 with Ted in my REC episode here. Great podcast and I have only one point of comment against a , maybe dangerous, advice. The idea to drink a glass of water for every 45 minutes to assure one stands up every 45 minutes. In this case to visit the bathroom. I get it that people that are sitting at work (or in general0 must stand up regular, not just for backpain prevention but also bloodflow etc. And therefore IMO people must take responsibility for that. Drinking water that much over a say 8 hour timespan can be to much. The best solution ofcourse would be to work less hours……but that”s for most not realistic, I get that (Or??). Bringing to attention that peoples health is their own responsibility and that others are not their caretakers nor that others should bring up ideas to “help’ people in a pleasing/remembering/giving huggs way is what I have recently think a lot more about. I tend to go the hardliner route, either you get it and act on it or you go complaining at another place. YOU ARE A ADULT FOR CHRIST SAKE!!!! That”s how I think about it. But the podcast and information……….hey, very good gents. The advise to drink more water isn’t bad advice it’s great advice , especially considering most people don’t drink enough water . Well, keep context, and I wrote the word “maybe ” (so it depends on the individual!!) and I didn’t state is as bad advice. One can drink to much, that’s different from drinking enough. Cheers!! Okay that’s fair enough . But even if you over drink water you will be able to urinate it out . Sure, and that points a bit in what I meant. I don’t see it as normal to urinate every 45 minutes. But I get it that this is meant to be sure to stand up every 45 minutes.So here my opinion that drinking that much ( the context is working sitting for 8 hours or so) for that goal is something like promissing a child to sit still and if he/she behaves he/she becomes candy……….thus my comment regarding adults and responsibility. The drinking of to much (OK, maybe just in that timeframe) in a short time can lead to mineral dillution too. But, as I stated a great podcast, the drinking issue was something that just made my eyebrows rise………but that are just mine. In generall I think most of us here have more common ground, and the details may differ yet lead to more or less the same results within a range. What do you think?? Btw, just came back from Kieser to exercise on the Medx LE. First time since 1 year. The previous year I only did the F3.1 ( the exercise version). The main difference with( my bodyweight) is the fixation mechanism. But there was’t any strength losst compared to one year ago. Just a few pounds less I could use on the Medical version compared to the exercise version. Depends ofcourse also on to know how to use resistance!! Frequent urination is good it would seem in order to eliminate toxins from the body as well . Well, no proof for a health need of that frequency of urination as far as I know. But ok, so if you travell you would drink and stop to urinate every 45 minutes so you could get up( or out of a car)?? Are you teasing with your comments?? You can’t piss me off…..!!! Obviously not . One must regulate their water intake for reasons you’ve stated . There is a vast difference between using water as a work management technique, and water toxicity. Since you didn’t quantify what you thought was too much, it is difficult to know exactly why you thought and at what rate, deliberate water ingestion is toxic…:-) Whilst I agree people are accountable for their own help with or without Christ, I would suggest after some seven decades in the healthcare business, most people do not do so – even well known health care providers and nutritionists that I know. So, I’ve been doing this at work for decades, whilst there are other management tools, this one works for me. Another great episode, one that could spin off a lot of interesting discussion. Like most people, I have been having occasional episodes of low back pain since the age of 29. Fortunately, I learned a long time ago that my own back problems are best managed via exercise and good lifestyle practices. Since I haven’t seen a doctor or PT in a long time with respect to back pain, I am surprised to learn that back strengthening isn’t a core feature of most treatment protocols. While I am on board with exercise and strength training as a way of recovering from and possibly preventing back pain, a couple of questions did occur to me as I listened to this discussion. One point of particular interest was a statement that he had at the 1:08 or 1:09 point in the podcast. He said basically that “strengthening the low back does not seem to reduce overall back injury rates, but it does affect the reinjury rate”. That is a very intriguing statement that seems like it is worthy of elaboration. Assuming I heard it right, why doesn’t low back strength training have a prophylactic effect on back injury rates? If weakness is a cause of low back pain, shouldn’t strength training reduce the frequency of injury? Or is it the case that you have an injury, and then in the process of inappropriately protecting the painful area, you end up letting the muscles detrain? The big point of uncertainty for me is how best to strengthen the low back. There seems to be two clear schools of thought regarding proper training protocols. In one school is represented by Stuart McGill, who strongly discourages loaded spinal flexion and extension. He strongly prefers isometric strengthening, i.e., keeping the spine in a neutral position while you load it. So he recommends planks, and bird dog exercises, and is ok with loading via deadlifts and the like. In contrast, MedX fans like strengthening the back through a full range of motion (flexion to extension), often with significant loading. Dreisinger clearly falls into the second camp. My own experience with low back exercises has left me quite cautious about loaded spinal flexion. As I said, I have never had a chance to try a MedX lumbar machines. But my efforts to try to emulate that movement (restricted pelvic movement, and low back flexion under some degree of load) have not been positive. It inevitably seems to irritate my back, end eventually leads to more pain, not less. Is that just to do with the limitations of non MedX equipment? Is the MedX really that magical? If so, why would the human body contain muscles that could only be isolated and effectively training using a piece of very exotic and expensive technology? Or is this just a matter of individual tolerances? With regard to lifting mechanics: There is another alternative to keeping a vertical spine and lifting with you legs. That is to keep a neutral spine, locked in with a strong isometric contraction, and then doing most of the lifting with the hips and hamstrings. Keeping the legs straight, and lifting with a rounded low back seems most problematic, especially with heavier loads. I wonder how Dreisinger feels about training with exercises like the deadlift, as a way of learning safer lifting mechanics? With regard to the Jefferson Curl: use google to find some of the stuff that the legendary Bill Starr wrote out using rounded-back good morning exercises to train his olympic lifters. You might find his experience interesting. Thanks Greg. Good question. I’m going to guess it’s because he doesn’t have access to one, because during this episode and the previous episode he recorded with me at REC, and during his presentation at REC, he very effectively argued the superiority of the MedX Lower back vs other exercises. I will ask if Ted can make the time to reply to your very thoughtful questions, as I and I’m sure many of the listeners are curious. A little clarification might be helpful. 1. We don’t have any idea what ’causes’ the majority of low back pain. So, I can’t say that a weak back causes pain. “…strengthening the low back doesn’t seem to reduce the overall back injury rates…” should have been followed by “…I does affect the INJURY RISK…” The first part of the comment was related to (if not expressed) the fact that very little back strengthening occurs in any physiotherapy treatment approaches. The first part of my comment was in the context of, in the broader view, we don’t have enough information to say. 2. This is a bit of a longer discussion, but first out of the shoot: MEDX IS NOT MAGICAL. It is simply that the lumbar extensors are notoriously difficult to strengthen (lack of technology in the broader sense). Any muscle group or joint complex, if strengthened within safe therapy constructs, almost seems magical. 3. There is a difference in spinal load when you bend over to pick something up versus having a loaded spine against your back (like in a MedX machine). In the bending over situation, the flexed position the load comes from the object pulling you toward the floor as you lift it concentrically – the load sits more fully on the disc. When in a MedX machine, the load comes from a pad that is pushing against the back. Flexing in this case, is done under an eccentric load (negative) and the forces on the joint complex of the spine are shifted backwards and mostly taken up by the facet joints, therefore less on the disc. 4. Finally, it is good to lock the spine via isometric contraction, but if one is not strengthening the spine (MedX, roman chair, Swiss ball), protecting the spine like this will, in the long run contribute to atrophy of the extensor muscles. So, protect yes, but also strengthen. I also like that Dr. Dreisinger seems to have a balance in his life with acting on insights / wisdom and acting on the intellect / research / science. He talked about how he called Arthur Jones, without really knowing why, or what to say because he had an overwhelming urge to do so. Sometimes people pit the “gut feeling” against the research based approach, and I don’t think they need to be set against each other. Thanks Matt. Yes, Ted comes across like a very balanced individual in terms of his intellectual honesty, which makes conversing with him really enjoyable. It’s always a good sign when a PhD says “I Don’t know” at least once. Let me reinforce that… THERE IS A LOT I DON’T KNOW!! Great interview. I emailed Dr Dreisinger today and received an informative reply a few hours later. Dr. Ted Dreisinger’s interview is informative and very much appreciated. I would have preferred many more accounts of Arthur Jones. My ears were tickled when he briefly discussed high intensity aerobics. Good for him! His take on the Jefferson Curl was priceless! A follow up interview would be good. I am experimenting with BFR bands for long duration isometrics. I have a Mio Alpha watch and a Polar chest strap to double “measure” ( measurements are real data) heart rate for resting HR, recovery elasped time from maximum HR, and actual maximum heart rate ….during actual High Intensity Interval Training. This data can show actual improvements in resting heart rate, and maximum heart rate. I was privileged to have known Arthur Jones. More importantly to have learned from him. On our first meeting he let me know how much distain he had for PhDs (good for my ego – right), but in the end, I learned more from him than many of my university classes. I’m not sure whether you use the Mio Alpha and chest strap when you are strengthening or when doing cardio, but either way you will clearly see positive responses to the exercise. With a “fountain of youth,” I wonder what Arthur Jones would be experimenting with? That is what Bowflex did in conversion to C.V. conditioning. I wonder if just doing 2-3 intervals until one breaths hard and recover and just repeat. Are monitors necessary, who knows? Just finished listening another great one ! I enjoyed this interview! There’s something I think needs to be made clear, however (and I don’t think Dr. Ted intended this): the psychological aspects of pain are not limited to malingering. In fact, everyone is subject to psychological factors (good or bad) when it comes to the experience of pain. In addition, I think it’s likely that the benefits of back strengthening exercise, when it comes to the pain experience, don’t all lie in the local tissues being worked. Possibly not even most of the benefit. Good point Thomas, and if I gave the impression that psychological distress is limited to malingering, I gave it wrong. There are many reasons for cognitive distress, pain in this case being one of them. There are strong correlations between the increase of spinal extensor strength and the reduction of pain. I have little doubt that the actual strengthening is related, I also have little doubt that when a patient actually sees objective increases in their ability to perform functional activities in their lives, it powerfully influences the way they perceive themselves. The Jefferson curl seems like a decent exercise to me, if it’s done correctly, but not only (or mainly) because of its effect on the muscles. Thanks for your comments and for Lawrence Neal’s dedication to provide these podcasts. I’ll do my best to respond to your comments and questions where I think there needs some clarification.